Are hospitals deadlier in July? Choose your hospital wisely, no matter what month it is, experts say. (CNN) -- More than 16,000 U.S. medical school graduates are awarded M.D. degrees each year, and many enter their residency programs at teaching hospitals in July. Now, a growing body of research suggests that month might be a more deadly time in U.S. hospitals. According to a recent study from the University of California, San Diego, deaths from medication errors increase by 10 percent during July, a so-called July effect as students graduate from medical school and enter residency programs. 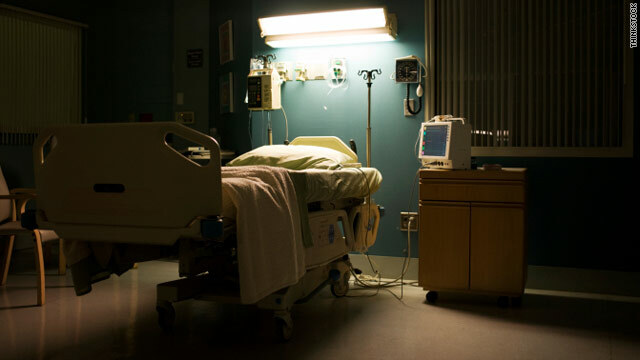 Researchers examined more than 240,000 death certificates of people who died of complications from medication errors between 1979 and 2006, and found mortality rates consistently spiked in July, especially in counties with teaching hospitals. "No one has been able to suggest anything else besides the appearance of new medical residents. That's the first month they start their new jobs and have expanded autonomy," says David Phillips, a professor of sociology and lead author of the study. He says although it's possible that the increase can be linked to administrative or other events specific to July, the most notable link is the start of new medical residents. "Like with any new person in any new job, it's the first time you're having to deploy everything you learned," says Diane Pinakiewicz, president of the National Patient Safety Foundation. She says there is a lot of pressure on medical students to be perfect, and because of that, they may be more afraid to admit what they do not know. In a report released earlier this year, the foundation issued recommendations for reforming medical school education in ways that reduce the "shame and blame environment" that ultimately affects the care a patient receives. "There's a culture of medical school education that doesn't allow people to speak up, so you come in as a new resident and you're afraid to make a mistake," Pinakiewicz says. Others say the problem is exaggerated. "I don't want people to be unnecessarily alarmed about going to the hospital in July," says Dr. Thomas Nasca, chief executive officer for the Accreditation Council for Graduate Medical Education. According to Nasca, more than one physician decides what medication a patient receives, and such checks and balances help protect the patient from error. "I think it is probably true there is a slight increase in July, but it doesn't mean our patients are less safe," says Michael Cohen, a pharmacist and president of the Institute for Safe Medication Practices. He says hospitals become more transparent in reporting medication errors, and the study might reflect the increased reports. He also says that besides medical residents, nurses, respiratory therapists and pharmacists all begin around the same time, and it's unfair to point the finger at new residents. Even with the staffing changes, he says the new study on the July effect looked at data before electronic prescriptions and reduced hours for medical residents helped to reduce the risk to patients. Other studies find that there is no increased risk of error and that the reported July effect may reflect the quality of care at certain locations. For example, researchers at the University of Tennessee Health Science Center looked into a potential July effect on their level I trauma center and found there was no increased risk. "Anyone on a new job anywhere is going to have increased errors or risk when they make an important decision," says Dr. Thomas Schroeppel, a surgeon and lead author of the University of Tennessee study. "However, I think it all depends on the supervision. With good supervision, errors are reduced." In every teaching setting, there must be a fully licensed attending physician on staff, Nasca says. He encourages patients who feel uncomfortable or unclear about any aspect of their health care to first ask to speak to the head nurse, who should be able to contact every attending physician caring for patients in the unit. If there are still concerns, he says to ask for the on-call hospital administrator. Their job is to help ensure the hospital is providing adequate medical care to all of its patients. Experts say you should research your local hospital just as thoroughly as you would research a school for your child or any other service. They say that before an emergency, it's a good idea to know whether or not your hospital is accredited and for what procedures, as well as how it ranks in patient safety. Click here to find out if your hospital is accredited through the Joint Commission, a national organization that evaluates medical facilities based on specific quality, safety and performance standards. Also, both the Leapfrog Group and Healthgrades allow you to compare hospitals based on patient safety ratings, and see which procedures are ranked the safest at a given institution. Also, teaching hospitals remain an excellent option despite any potential July effect. "Much of the research that develops new treatments or new medications occurs in teaching hospitals," Nasca says. "Generally, the quality of care is considered to be much higher." You can find a list of the teaching hospitals in your state on the Association of American Medical Colleges website, and you can search the Accreditation Council for Graduate Medical Education's state-by-state list of all teaching hospitals, medical schools and health systems that run residency programs. According to Nasca, anytime a physician changes your medication or dosage, take note of it. "With every change, there is an increased risk for error," he warns. Nasca says to ask directly "Are you sure this is my medicine, and why did the doctor change it?" -- and don't take anything until you are clear about the answer. "Patients should worry about the possibility of medication error and should not assume it's getting calculated correctly," Phillips says. The Institute of Medicine estimates medication errors harm at least 1.5 million people annually. Phillips says he's OK with being a worry wart, and kindly admits this to his physician when he receives any medication. "I simply say, 'Do me a favor and check the dosage and make sure this is the right medication because I know sometimes people make mistakes.' "
"The best thing for patients to do is be educated, and the internet is a powerful tool," says Schroeppel. He says patients who do their research online beforehand tend to ask more informed questions and obtain better outcomes. The National Patient Safety Foundation has three questions you should ask whenever you visit your doctor, nurse or pharmacist in order to make sure you understand your diagnosis. As health systems work to make the transition for new doctors as smooth as possible by increasing supervision and reducing the learning curve that could negatively affect patients, Nasca says, it is important to keep in mind that these future doctors are critical to the future of health care in the U.S.
"We wouldn't be able to deliver care especially to the underserved without residents," he says. "They want to do the right thing for their patients, something they're trying to do under very difficult circumstances." CNN's Jennifer Bixler and Carrie Gann contributed to this report.